January 19, 1947 was a very special day. It was a crisp clear morning in Albany, Georgia with wisps of white clouds floating in the blue heavens. On one of those clouds was a stick of butter, sad and alone. On another cloud not too far away was a can of Crisco who was horny as all hell. The can of Crisco put a little bit of vanilla behind her ears and went out to find some action. It wasn’t long before she spotted that stick of butter and she set her sights on it. “Hey, butter,” she said. “Why don’t you come over here and and let’s see what happens when we emulsify.” The butter, having nothing else to do thought, “Why not?” and jumped into that crazy can of Crisco. At that same moment, a cloud made of bacon happened to be floating by and caught a glimpse of what was going on. In an effort to get a better view, the bacon cloud swooped in a little closer and the next thing it knew, it was right smack dab in the middle of a three-way. The bacon, butter and Crisco all became one in much the same way that a turducken is created. When all three ingredients were satisfied, they each did the walk of shame back to their respective areas of the sky leaving behind a greasy wet spot on a tired used up terry cloth cloud. The sun shone on that that greasy wet spot and it grew into a bigger greasy wet spot and within twenty minutes it had developed into something the world had never seen. It took the shape of a Smithfield Ham and slid down a oleo-coated rainbow where it landed in a baby crib in the home of a young couple who were waiting for the stork to arrive. The couple looked down at the new arrival and said, “Well, I thought it would be cuter but I guess it is what it is. We shall call it Paula Deen.” Today is Paula Deen’s 65th birthday, y’all! I ♥ Paula Deen from The Bitchy Waiter on Vimeo. Paula Deen just announced that she has Type-2 diabetes. No real surprise there, seeing how we all know how she likes to eat. She teamed up with a pharmaceutical company and is now the paid spokesperson for Novo Nordisk, a diabetes medication. Is it wrong? I say “no, it isn’t.” She never pretended that what she was cooking was healthy and she never made anyone buy her cookbooks. It’s all choice. And now she has the choice to ether keep eating the way she does and stay on medication or change her habits and try to get off the medication. Whichever one she chooses, I hope that today she is having a big birthday cake to celebrate. Might a suggest a doughnut covered chocolate marshmallow pudding pie with a side of sticky honey cake with caramel cream Rocky Road ice cream sprinkles on a bed of crushed Oreos and bacon? 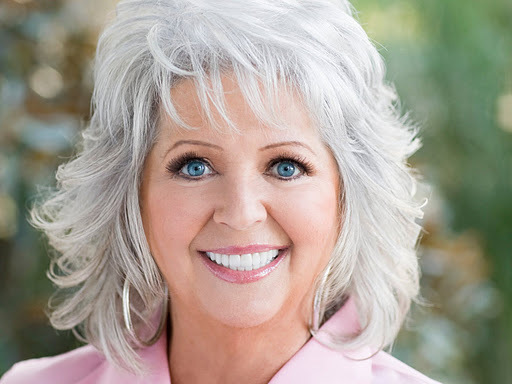 Happy birthday, Paula Deen! Click here to follow The Bitchy Waiter on Twitter. Click here to find The Bitchy Waiter on Facebook. This entry was posted in Paula Deen diabetes on January 19, 2012 by The Bitchy Waiter. What a lovely story that leaves me hungry in a nauseous way. There simply is no bad publicity. I love her food. Yum. She's always said to eat it in moderation. The most important thing is – she's making money out of it! Loved the video. Never have a read a more moving creation story. I was an atheist until I read this but have now become a believer Bacriscutter, the holy tri-parent of Paula Deen. I only wish I'd been there to add some of my personal sebum to bring a shiny fourth dimension that's sadly lacking from her primordial mud self.